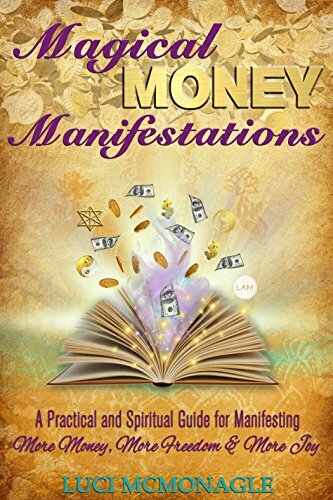 Magical Money Manifestations is a practical and spiritual guide for women to have more money, more freedom and more joy in their lives. It covers money mindset, changing beliefs and what it takes to go from poverty to riches. What is the purpose of the book? The purpose of the book is to create a money movement that will empower individuals to take first steps necessary to succeed in life and in business. What change will the reader experience by reading your book and using your system/ideas? The reader will experience a dramatic change in the why they think. It introduces an easy system to become aware of what they are creating through their thoughts. What skills, mindsets, ideas, plans… will your reader gain from your book? Mindsets – they will discover money and wealth mindset secrets and step by step exactly what they need to do in order to create new money magnet mindsets and maintain them. Ideas – they will have the idea of what is success for them and a roadmap on how to use practical and spiritual tools to get there. Plans – they will be able to go to this book as reference to become more empowered, self confident and learn the ways of becoming a manifestor.